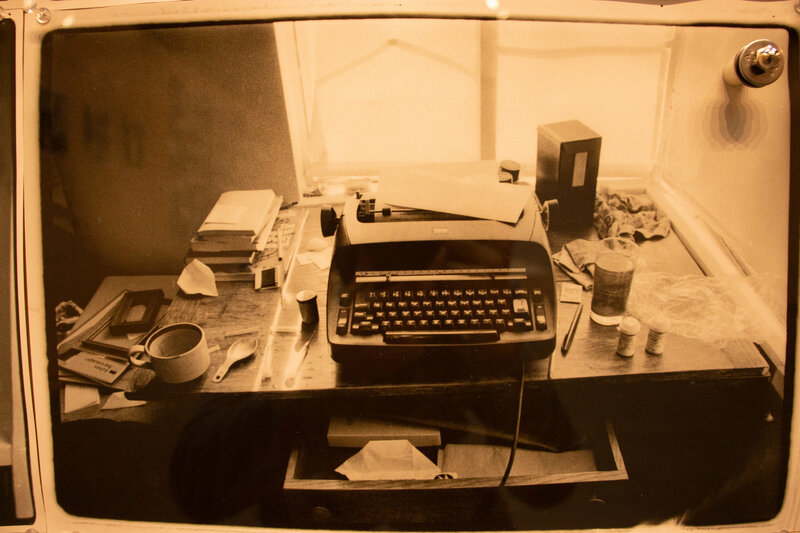 Desk & typewriter of William S. Burroughs, photographed by Annie Liebovitz. A naked Rock Star, looking forlorn, in a fetal position, embracing his now widowed wife Yoko Ono: is one of the last photographs taken of John Lennon, captured just hours before he was murdered outside of his residence in New York City. 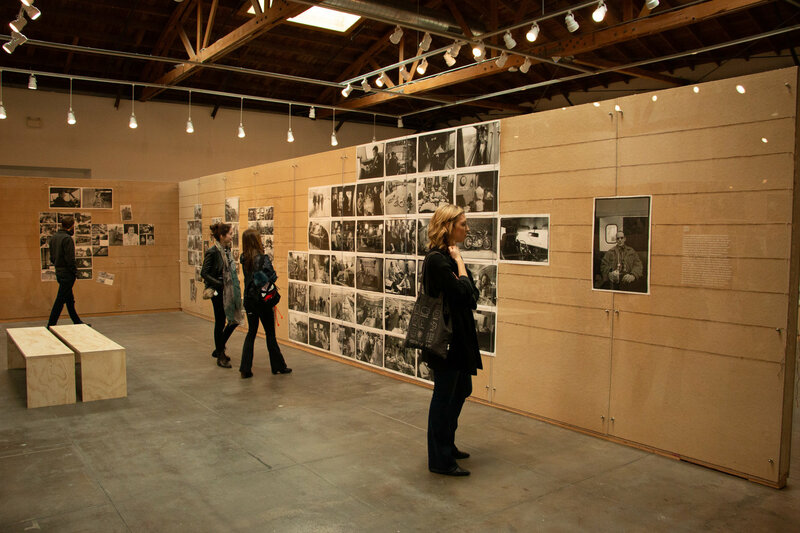 Los Angeles residents were able to see original photos taken by American photographer Annie Leibovitz at the Hauser & Wirth Museum, located in downtown Los Angeles, this past weekend. Titled “The Early Years”, this body of work was shot between the years of 1968-1983 and chronicles the socio-political climate of the times. An array of images telling the stories of hippies, flower children, rock stars, writers, poets, political activists, and politicians. 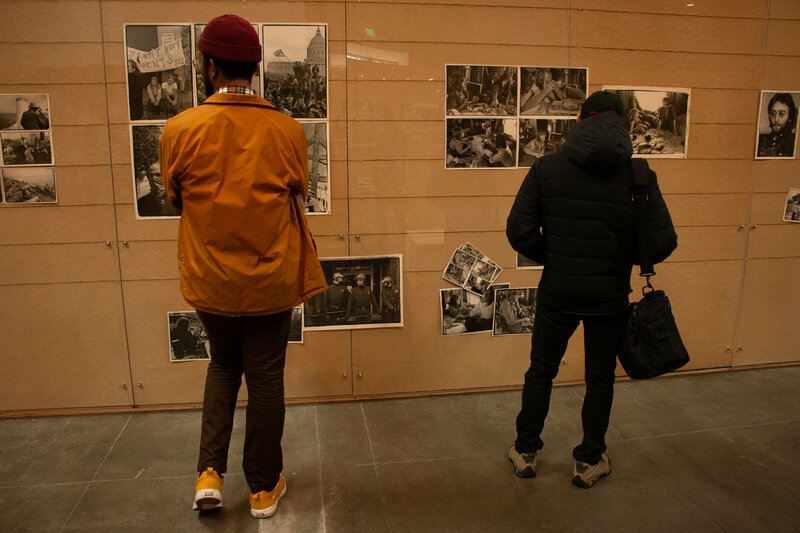 The exhibit begins in the tumultuous time of the Vietnam War documenting the anti-war protests centered in the Haight-Ashbury area of San Francisco, California. Photos that landed her a job at what was then a small magazine called “Rolling Stone”. 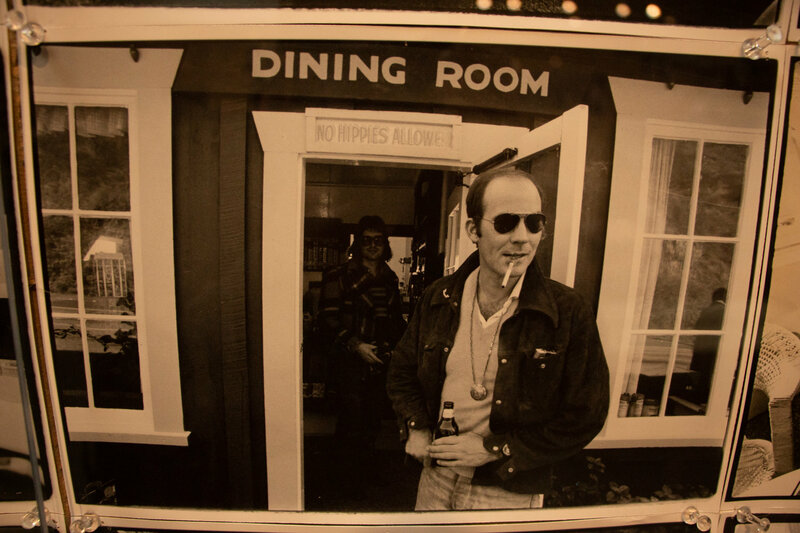 It was there at “Rolling Stone” where Leibovitz would work with journalists such as Hunter S. Thompson and Tom Wolfe. Early photos with personalities such as Grace Slick, Louis Armstrong, Van Morrison, Smokey Robinson, Joan Baez, and the Beach Boys’ Brian Wilson are on display capturing her early career. 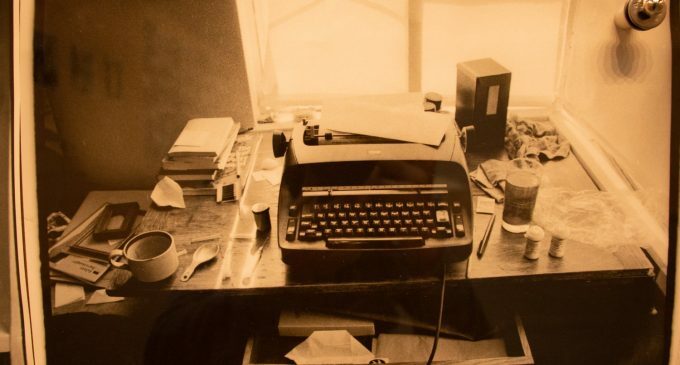 By 1972, Leibovitz became one of the few female Journalists to cover the presidential election. When Thompson failed to submit coverage for the magazine, Annie Leibovitz saved the issue with a 50-page photo story of images illustrating the divisiveness that the Vietnam War and the presidential election had on America. The work from this period exhibits people, places, and political parties from both sides of the aisle, and shows a common thread of humility and humanity across multiple socio-economic levels throughout America. The exhibit then moves into “The Warhol Factory” and we see candid pictures of artists, actors, dancers, divas, and “Factory Superstars”, people that Warhol had thrust into the limelight through his paintings and photographs. The time travel continues, as we are eased into images of the Stanford Artificial Intelligence Laboratory and the Xerox Research Center in Palo Alto, Calif. We learn about Stewart Brand, founder of the Whole Earth Catalogue, who wrote about the first “Intergalactic Spacewar Olympics” with first-hand photos of some of the early scientists and technicians who helped develop personal computers. “The Early Years” captures the evolution and raw talent of Leibovitz with early images of social angst and political upheaval. Her skill continued to shine through time with photographs of emerging Hollywood stars such as Peter Fonda, Jane Fonda, and Warren Beatty to name a few. In 1975, Leibovitz was asked to photograph the British rock band The Rolling Stones on the 27 city “Tour of the Americas.” With an intimate behind-the-scenes look at the lives of touring musicians through the life of her lens, we also learn about the pressures that sent Leibovitz over the edge landing her in a drug rehabilitation center. Towards the end of the exhibit, attendees were treated to photos of a young comedian named Richard Pryor, a Rastafarian named Bob Marley, a completely ripped, young, and iron-pumped Arnold Schwarzenegger, and a peanut farmer from Georgia who would later go on to become a President named Jimmy Carter. Lastly, we see unique, unstaged, nonchalant and natural looking pictures of fellow photographers whom she admired: from Ansel Adams, and Richard Avedon, to Helmut Newton, and Jaques Henri Lartigue, as an audience we are able to see who inspired this incredibly inspiring photographer. Be it a lesson in history, a chronicle of American culture, a study in photography, an artistically uplifting date, or simply just an eye-opening way to spend your afternoon, “Annie Leibovitz: The Early Years” captures a shifting American landscape through the eye of her lens.